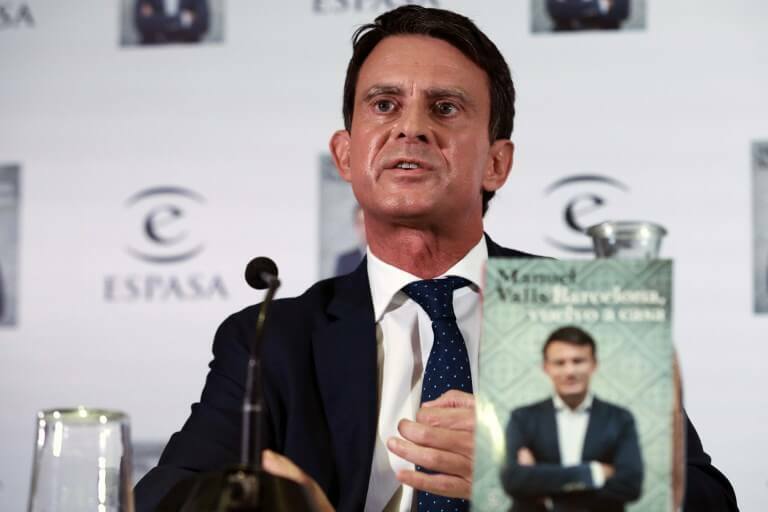 The former French Prime Minister Manuel Valls is campaigning to become Barcelona’s next mayor. Although he’s running as an independent, his platform is mainly supported by Ciudadanos (Cs), a staunchly unionist party, part of the European liberals. However, following the election results in Andalusia and the strong emergence of far-right party Vox, the Ciudadanos’ possible agreement with the far-right to gain power in the region is becoming an uncomfortable issue for Valls and the party’s European allies, ALDE. ‘Congratulations to Cs for their huge gains in Andalusia. The success of the far-right, however, should worry us all,’ tweeted the leader of ALDE in the European Parliament, Guy Verhofstadt. ‘There is no room for an agreement with Vox,‘ said Manuel Valls in a radio interview on Thursday. The candidate for mayor said he knows ‘the convictions’ of his allied party in Spain, and defined them as ‘liberal, progressive and profoundly pro-Europe.’ This, according to him, makes any kind of agreement with Vox impossible. ‘There can be no compromises with the far-right,’ the former French Prime Minister insisted. Valls’ position is particularly delicate, as Vox’s results were congratulated on Sunday by the leader of French far right, Marine Le Pen. This also makes things difficult for Cs themselves, as they plan to strengthen their alliance with France’s president Emmanuel Macron. ALSO READ: Who will govern with who in Andalusia? The Spanish far-right party is the kingmaker of a potential conservative government in Andalusia with Cs and the People’s Party (PP). The two parties cannot hold a majority without it unless they convince the Socialists (PSOE) to vote for them or abstain. According to Valls and Cs, this would be the most ‘sensible’ option. But unlike Cs, who until now have not ruled out working with Vox and have even refused to define it as far-right, the former French Prime Minister stated that depending on their support should never be an option. Valls has made clear his opinion to Cs leader, Albert Rivera.